Kindergarten Graduate Tee Shirt for African American toddler. 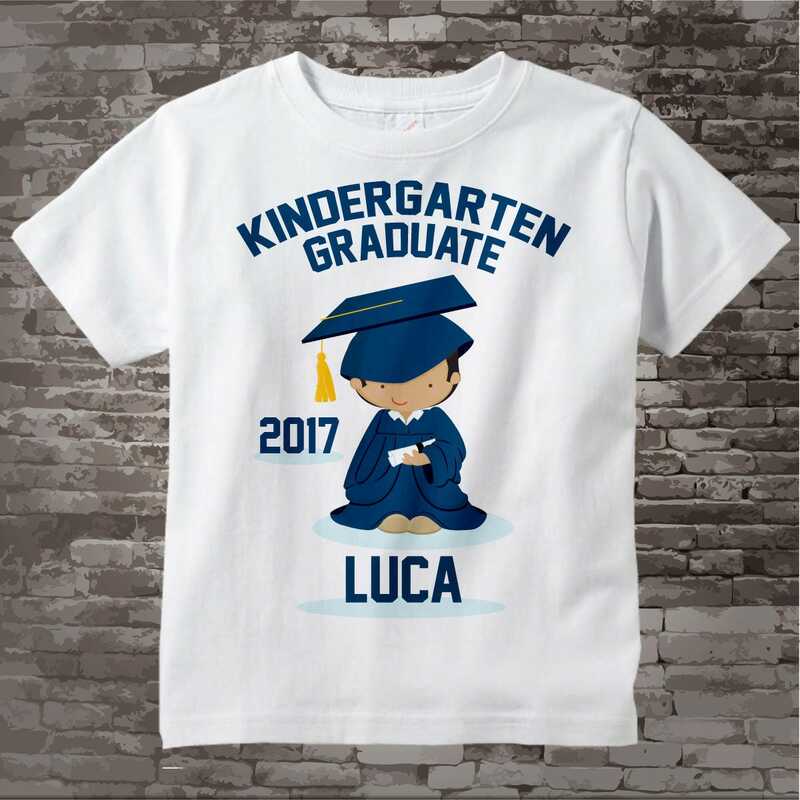 This design I created for that cute little boy that just graduated Kindergarten. It can be personalized with your child's name the year of graduation and one of the colors of their school. This one is a light brown boy with dark brown hair and a navy blue cap and gown. Purchasing this listing will get an light brown boy design. Excellent!!!! I would purchase again! Great quality and shipped fast! Everyone loved my son's shirt!